Published on January 5, 2012 February 27, 2012 by cara.b.b. i’ve been a bit out of whack this week trying to get our house back together. we had new flooring installed on our entire first floor last week, and nothing was in it’s place. slowly, i’ve been getting us back to normal. the last of the christmas decorations came down today, and while i’m sad to see the season end, i didn’t mind getting the decorations packed up. 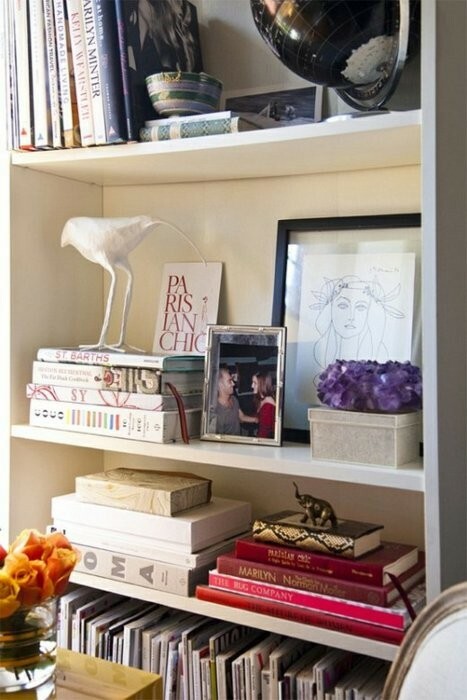 you might have heard me mention before that i kind of have a thing with bookshelves. i am constantly rearranging the ones in our den – did it again during nap time yesterday – which means i’m always on the lookout for good ideas. 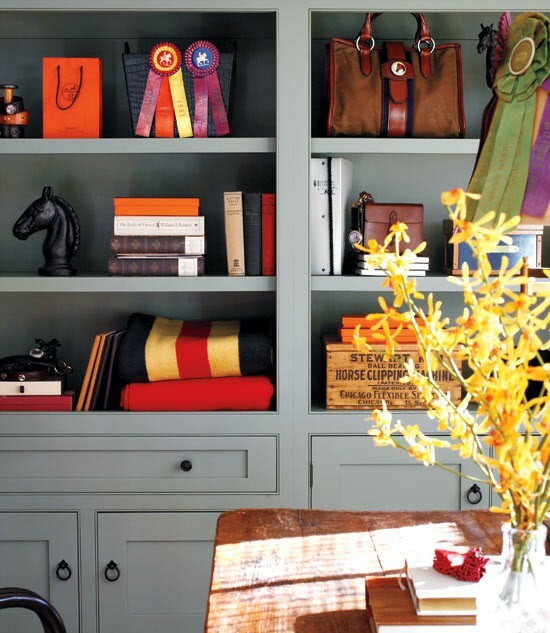 i think the secret is books + objects + a little space. unless you’re going for a library look (which is awesome, but not really what i was aiming for), it’s important to see a little ‘negative space’ to let your eyes rest. 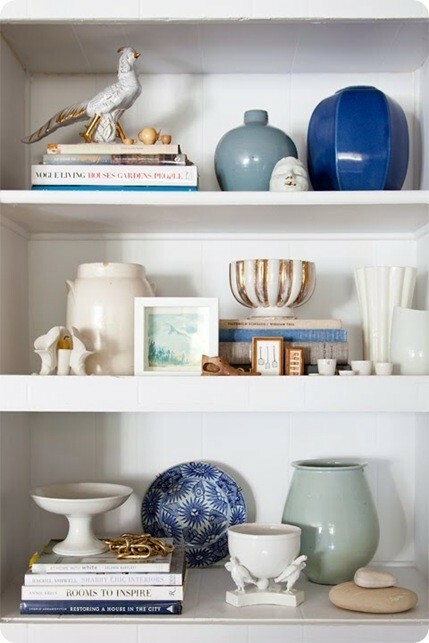 i also like the idea of adding a little art on the front of the shelving to break up the horizontal lines. i’m cooking up something for our own shelves, and if it turns out any good, i’ll be sharing it soon. 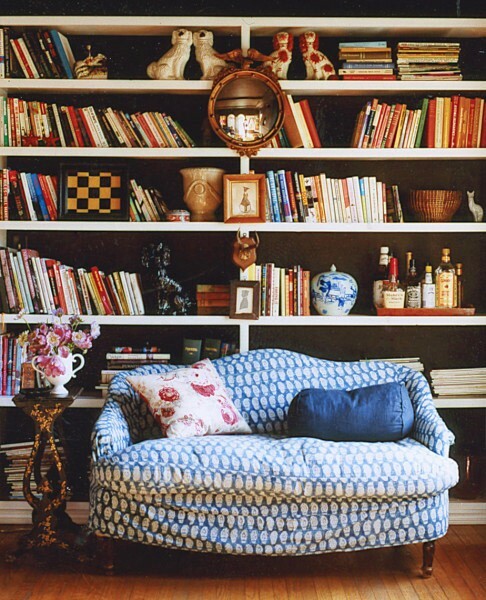 in the meantime, a few photos that have given me inspiration lately, all via my pinterest. 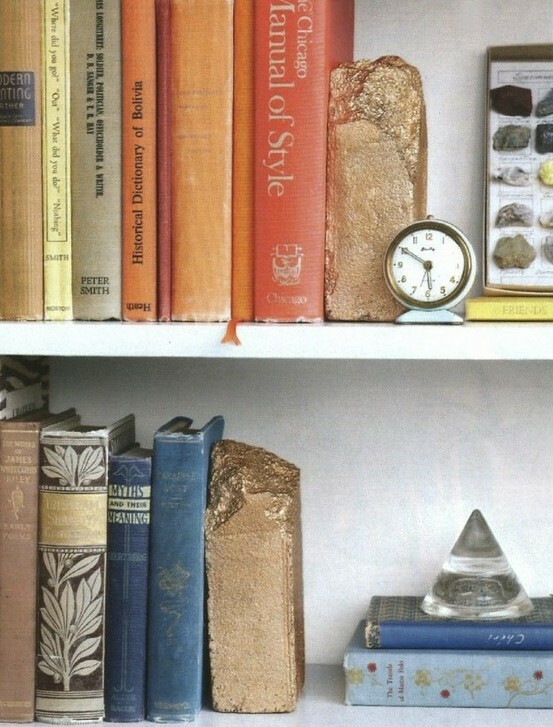 i’m pretty sure those bookends are just bricks sprayed gold. a rustic little touch. 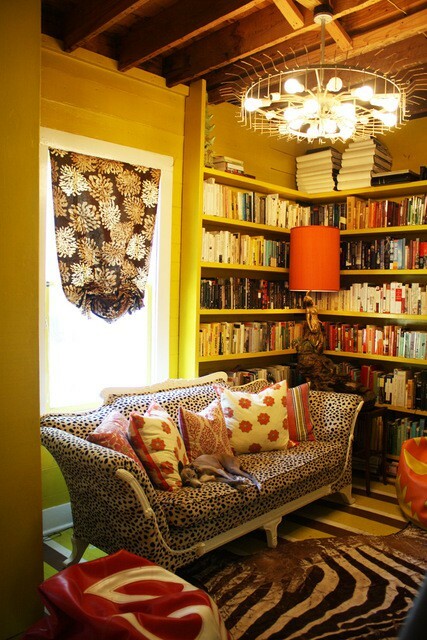 a sweet little cave for curling up with book. 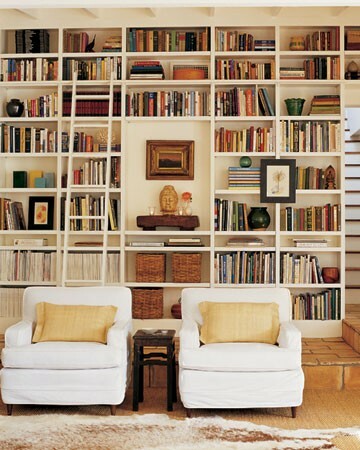 holy awesome wall o’ books.